At A Perfect Closet & Cabinets, Inc, we can make those dreams come true in your kitchen or bath with custom handcrafted cabinetry made without the custom pricing. We come to you and take all the guess work out of the design process. If you’re looking for custom kitchen or bathroom remodeling in DeLand, DeBary, Daytona Beach, Port Orange, Ormond Beach, Sanford, Orlando, Lake Mary, Winter Park or any surrounding Central Florida area, call A Perfect Closet & Cabinets, Inc. at 386-734-1313 (DeLand) or 407-352-6200 (Orlando). Complete Kitchens, Baths, Powder Rooms, and Custom Designed Furniture for your needs and space requirements. Locally milled and hand crafted, our cabinets can be made to fit any space. With innovative ideas in our design process you will end up with space that redefines how useful a kitchen or vanity can be. 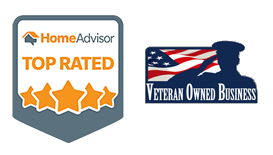 We meet and exceed homeowners expectations every time because of our years of experience. A Perfect Closet and Cabinets, Inc. will design, manufacture and install everything we make for you. You CAN afford the Best. At A Perfect Closet and Cabinets, we also manufacture armoires, wardrobes, furniture, master bed rooms and more. We work with all species of wood and other materials as well. We offer many different finishes, colors and Door/Drawer styles to choose from. A local family owned and operated business, we are the manufacturer, not a franchise! We use only American products and lumber. Complete custom kitchen and bathroom cabinets design from the bottom-up for each individual’s needs and desires.